Kohl's offers the Canon EOS REBEL T6 DSLR Camera Zoom Kit for $399.99. 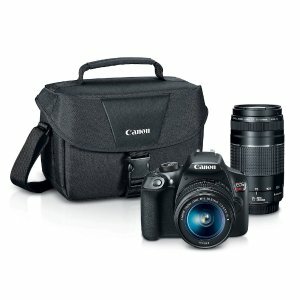 Include Bag, 18-55mm Lens, 75-300mm Lens and $120 Kohl's Cash. Features: The camera with the quality your photos deserve, the EOS Rebel T6 can be ideal for smartphone or digital point-and-shoot camera users looking to step up their imaging game.